Gardening is generally perceived as a peaceful and relaxing activity that is suited to most age groups – there are practical solutions to avoid back pains and heavy loads for senior gardeners. However, its DIY nature can make it a highly dangerous hobby. Indeed, every year countless enthusiasts with green thumbs are injured in a gardening accident. If you ignore seasonal accidents such as falls on a slippery surface during the colder months of the year, the most common cause for an injury is your favorite gardening tool. However, it’s crucial to remind amateur gardeners that no tool is dangerous per se. Indeed, the risk doesn’t come from a poorly-thought instrument. In reality, the user is responsible for the risk. In other words, you need to put your thinking cap on and consider how you are handling some of your garden maintenance tools. As a rule of the thumb, men tend to injure themselves more often than women in the garden, because they are more likely to handle powerful instruments. With cuts being one of the most common injuries, you need to pay close attention to how you hold and use your gardening equipment. Shears and secateurs can leave some nasty cuts on your fingers as you apply force to separate hard wood. Hence, the first rule is to know the maximum diameter your tool can tackle, as this will reduce the risk of injuring yourself through brutal strength. Electric hedge trimmers and chainsaws need a special warning as they don’t rely on human strength. Surprisingly enough, most injuries are the result of poorly maintained tools that snap or lead to excess dust and fragments. You need to invest in a quality trimmer and chainsaw sharpener to avoid risks. Additionally, do make sure to wear the necessary protection for your eyes and arms. Can you ever trust a lawnmower? If you have pets or young children, you know that you need to be very careful when using your lawnmower. The most typical injuries tend to be linked to loss of control of the machine. You could put others at risk through careless handling! Therefore, it’s important to stick to the first rule of mowing: Always stop the device when there is a child or a pet around. Additionally, homeowners also mention injuries with corded mowers, as the user trips on the cord. Safety 101: Always keep the cord behind you to prevent accidents. Additionally, be careful not to use your device against rocks and other hard material that could damage the blades or create sharp breaks. Don’t be a falling (gardening) angel! Falling remains a frequent occurrence when gardening, especially for gardeners who work at a great height. Tree maintenance is the number one cause of severe injuries in the garden. It’s precisely why you should get in touch with specialists when it comes to trimming or cutting high trees in your garden. 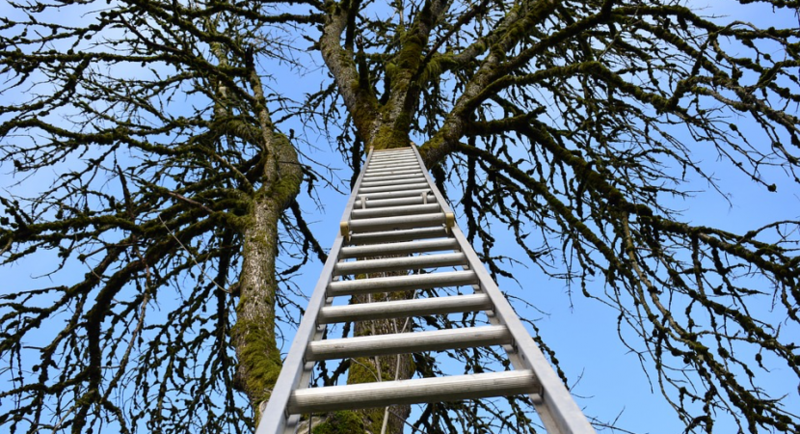 If you’ve decided to do it yourself, you need to know how to secure your ladder and yourself on the tree. Remember: You can’t afford not to be attentive when your life is at stake. When it comes to gardening accidents, doctors have an important message to all enthusiasts. Being careful is not enough. You need to be mindful about how you hold, use and maintain your tools if you don’t want to have to bandage your green thumbs.